Tidy, quiet Luxembourg – smaller than the smallest US state and richer, per capita, than nearly every other nation on Earth – has lately found itself in the very last place it wants to be: in the global spotlight. Since the government announced in April 2013 that the country was ready to engage in the automatic exchange of information with EU and American tax authorities, analysts worldwide have speculated about what the end of an era means for this nation of 500,000, whose financial services sector now accounts for roughly 28 percent of GDP. In banking circles here, concern has been mixed with relief that the future regulatory outlook is at last certain. The mood is also mixed among the wider population, who are worried about the impact on employment and state revenues, but gratified that the country will soon shed its longstanding reputation as a tax haven. That characterisation – which implies that Luxembourg is a place where individuals evade their responsibilities – is simply not representative of who we are as a country, or a people. For the better part of the 20th century, including the period leading up to and following two World Wars, Luxembourg was an industrial nation, dominated by the production of iron and steel. The rise of industry came swiftly and was sustained until the 1970s, when the services sector (led by banking) finally became ascendant. Given that the median age here is nearly 40, most of us have at least some memory of that earlier era. Our ancestral values of labour, respect and thrift are borne of the steel works in which our parents and grandparents toiled. Our people are typically conservative, in the true sense of the word. Despite our openness to new ideas and to the world at large – reflected by the fact that some 40 percent of the country’s resident population is foreign – we’re a quiet people, who don’t relish being in the spotlight. The premium we place on discretion perfectly suited the rise of private banking in this strategically located crossroads (roughly 40 percent of the wealth of the EU is concentrated in a 500km area centred around Luxembourg). Supported by one of the world’s most responsive regulatory environments, our private banking industry now collectively manages roughly €300bn, generating more than €3bn in annual revenues. Private banks here, both foreign and domestic, operate alongside extremely vibrant asset management and insurance sectors, in an environment characterised by an extraordinarily high level of political stability, drawing upon an oversized pool of skilled, highly productive professionals. Critically, with more than €2.4trn in net assets under management, Luxembourg is the largest investment fund centre in Europe and the second largest in the world, after the US. Following nearly four decades of more or less sustained expansion, however, the end of banking secrecy represents a watershed moment for private banks based here, which will surely lead to some reorganisation – and likely consolidation. Consider that, in the first four months of 2013 alone, according to a report in Brussels-based Le Soir, some 1,715 Belgian citizens officially disclosed previously undeclared revenues. That figure represents a nearly 10 percent increase compared to all of 2011 and, if that trend continues, would be equivalent a rise of about 120 percent vs. last year. There is little doubt that some – but by no means all – of that previously unreported capital has been held at Luxembourg-based banks. One clear consequence of the so-called ‘onshorisation’ process is that some ‘offshore’ clients in Luxembourg are now electing to repatriate their wealth, based mostly on their preference for geographic proximity. That fact is undeniable. What is also a fact is that most of those clients are in the lower tier of the private banking pyramid. According to a 2011 PwC survey, 80 percent of private banking clients in Luxembourg have accounts with under €1m, often well below that figure. Only a fraction of the total client base here can be truly categorised in the high-net-worth-individual (HNWI) or ultra-high-net-worth-individual (UHNWI) segment. The challenge for private banks in Luxembourg is therefore obvious: while assisting existing clients with ‘onshorisation’ and retaining as many of them as possible, private banks need to attract more clients that fit the HNWI and UHNWI profile. My firm belief is that we can and will do so – primarily because this small country already offers a concentration of services and skills found nowhere else. In future, therefore, the key selling point for Luxembourg will not be secrecy, but rather the talent base and political and macroeconomic stability we offer. At the same time, it has never been more important for Luxembourg-based private banks to establish broader geographic networks, and to ensure that such operations are at scale. Today’s HNWIs and UHNWIs seek private banks that can manage their international portfolios, meet their lending expectations, and provide highly advanced professional services. Private banks in Luxembourg are perfectly placed in that regard. KBL European Private Bankers (KBL epb), the firm I lead, is well ahead of this curve. 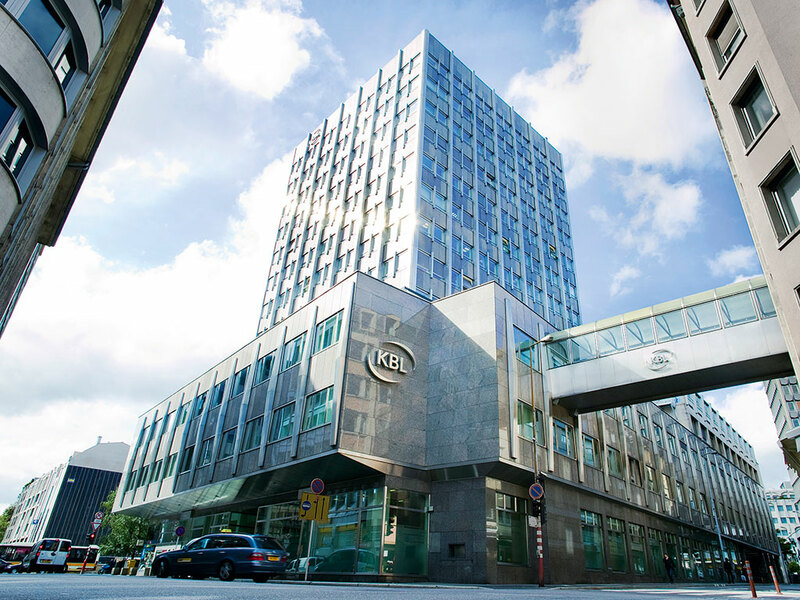 With a multi-local presence spanning Europe, centuries of collective heritage, and a shared commitment to personalised service, KBL epb engages its clients in dialogue, providing them with independent investment advice, and striving to meet their evolving needs through a range of tailor-made services and products. Based on our core belief in the principle of interdependence – among our stakeholders and across our network of more than 2,000 specialist professionals in nine European markets – we foster cooperation and encourage entrepreneurship. From our central hub in Luxembourg – with the ability to share information and resources seamlessly and efficiently across our footprint – we serve our clients through an operational model that allows us to combine broad pan-European perspective and deep local insight. As a group, we look to the future with ambition and confidence, focusing on our mission to be a preferred European private banking group that cares for clients and colleagues as if they were members of our own family, always putting their long-term wellbeing first. With €41bn in assets under management and €39bn in assets under custody (as of December 31, 2012), KBL epb is widely recognised as a private banking leader. We have defined a clear strategy for even greater success and are confident that we can realise our vision to become a top 20 European private banking group by 2015, with a minimum of €50bn in assets under management and €100m in annual net profit. To achieve our ambitious goals, we are today in the midst of group-wide transformation. With the full support of our shareholder – Precision Capital, a Luxembourg-based bank holding company – KBL epb is consolidating its presence across Europe, including through potential acquisitions. Simultaneously, we are expanding our horizons to capture future opportunities in high-growth emerging markets, including the Middle East and Asia. In Luxembourg, where KBL epb is headquartered, the end of the era of banking secrecy coincides with the conclusion of a long period of uncertainty. We now know, and our clients know, that full transparency is the future. We have no option but to act accordingly. However, secrecy and privacy are not synonymous. Even in this age of always-on surveillance, where every Facebook post can be analysed instantly and stored forever, individuals retain the right to privacy. That is important to all of us, especially those in the private banking industry. Here in Luxembourg, privacy will remain a basic principle that will continue to guide our client relationships as we enter this new era.